This is a posting for Security Division; Internal Organizer I or II, in Alameda, California pursuant to the BSSU Contract. The Service Employees International Union (SEIU) is our country’s fastest growing labor union with more than 2 million members. We are on the cutting edge of bettering the lives of low-wage service workers and taking on the larger issues that impact their lives from healthcare to education to immigration. 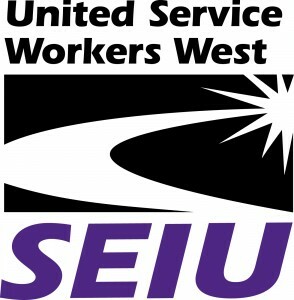 The United Service Workers West (USWW) is comprised of 40,000 property service workers from San Diego to Sacramento. Our union brings together janitors, security officers, residential, stadium, arena and airport workers. These workers are the heart of our union and through their activism the hope for a more progressive California. SEIU USWW has an Internal Organizer position available immediately, based in Alameda with routes in San Francisco, CA. Conduct worker and committee meetings, including developing meeting agendas. Email a résumé with cover letter explaining interest and qualifications. SEIU USWW is an equal opportunity employer. Women and people of color are encouraged to apply.